Experienced Care Companion to your loved ones to give you a peace of mind while you work. Your loved ones safety and well-being is my top priority. Integrity, Trustworthy, Committed with Tender Loving Care is all you want from a care companion to your loved ones. I am providing care companion to children, young and matured women who needs a listening ear, company to go out or just being there. Call me and read my good reviews from my clients. play board games, play badminton, watch movies, go to zoo or night safari. Committed and giving you a peace of mind that your loved ones are in good hands. Thank you Charissa for your detailed and timely report on her daily routine and condition. Her dedication put us at ease when at work. Thank you for today’s services..😊 Met up with Charissa earlier today, and I quite like her services. She’s quite warm and helpful and she really took good care of me today, she did a prayers for me before my surgery, and accompanied me in the surgery room and also in the recovery room , and then accompanied me all the way to the Blk where I lived at. 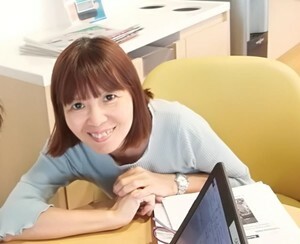 I’d give a ratings of 4 out of 5 for her services..
Tks for arranging the caregiver service. Heres some feedback on the caregiver(Charissa), who has been very responsible, caring , professional and thoughtful.